LEVIUM is a revolutionary natural supplement for decreasing stress & anxiety developed alongside leading Medical Doctors, Neuroscientists, and University Professors in the field on anxiety brain chemistry. I believe in this project so much I too stock in the company. Project / Role - Copywriting, Media Production, Facebook & Instagram, Google Adwords, Automated Emails, with Heavy Remarketing/Retargeting Focus. Trending In "New York City's Most Popular Indiegogo Campaigns"
Super Deluxe is well known Los Angeles Production House and Content Incubator. We consulted in the writing and production of web short series ALTERED STATES, an exploration of consciousness and "instant enlightenment" geared towards millennials. I actually appear as a guest in one episode! Project: Scriptwriting, Episodic Concept Development, Production, Talent and Expert Acquisition. Results: Videos in the series gained up to 400K+ Youtube Views. Position produces unique, stylish, and functional Olympic Weightlifting Shoes in a market that desperately needs innovation. Their USP is a hand-crafted wood heel and classic style. They're passionate about their sport, their fans, and their shoes. Results - Remarketing brought us the majority of sales. And Facebook's Lookalike Audiences killed it. Although these people were cold leads, Facebook's unparalleled targeting options brought us sales from people who had just discovered POSITION. THE INTERNATIONAL ECONOMIC ALLIANCE (IEA) - "GLOBAL INVESTMENT SYMPOSIUM"
THE INTERNATIONAL ECONOMIC ALLIANCE (IEA) is the leading organization dedicated to furthering global trade, development, investment and advancing business relations among nations. 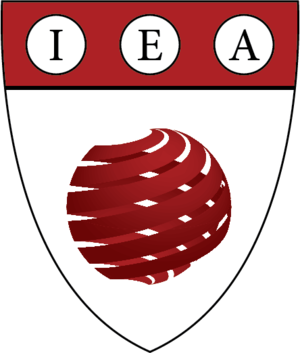 Born out of Harvard University in 2004, the IEA is known for hosting the annual Global Investment Symposium at Harvard Club of New York, an event where leading professors, CEOs, and Heads of State can meet to discuss international economics. Project - Copywriting and Email Marketing with Advanced Lead Targeting. Program Development For Event Hosting Presidents of Foreign Countries During UN General Assembly in New York City. 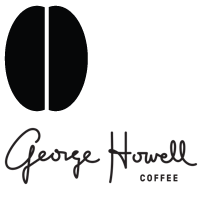 Results - Successful Sold-Out Events Multiple Years In Row. Acquisition of CEO Speakers Like Nicholas Berggruen, of the Berggruen Institute. 3 SISTERS PICTURES are the EMMY-NOMINATED producers behind television content for the likes of HBO, PBS, NATIONAL GEOGRAPHIC, DISCOVERY, A&E, THE SMITHSONIAN CHANNEL, THE TRAVEL CHANNEL, ANIMAL PLANET -- for shows like Anthony Bourdain's "No Reservations". HOUSE OF 950 is an innovative fashion company out of Manhattan. Their known for what they call "austere comfort", clothes 100% MADE IN USA, using high quality organic fabrics. GOODBY SILVERSTEIN & PARTNERS is San Francisco's coolest ad agency. SF STATION is San Francisco's favorite online entertainment guide. They produce articles and multimedia content that features the biggest events and interviews with celebrities, musicians, and artists.